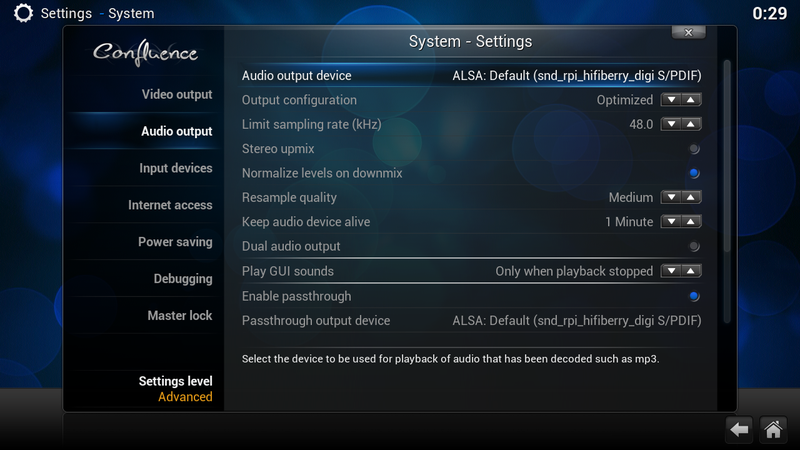 After some poking and hacking around in Rasbian and Raspbmc I got surround sound playback in XBMC on the Raspberry Pi. It could be that there is a better way of achieving this but for now I did not find it. If you have suggestions for improvement please let me know. 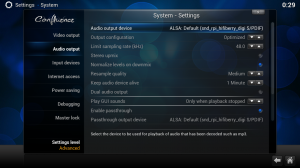 In order to get the newest firmware and more package options add the Rasbian repositories to the Raspbmc in /etc/apt/sources.list. The changes are highlighted. After this add the raspberrypi.org public key and update the system from the newly added repositories then add the needed sw packages. Thereafter force update the firmware and reboot. 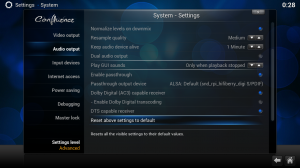 It might also be needed to change the GPU memory split as DVDPlayer requires more GPU memory. This is done in /boot/config.txt where the following line need to be added or changed. Different memory splits can be tested. Thanks to Jimmy Dom for atÂ crazy-audioÂ forumÂ for pointing this out. This entry was posted in Hifiberry and tagged Hifiberry, Raspberry Pi on April 11, 2014 by pretender. Nice! Can you tell me what the performance is like with 1080p DTS videos? Is it choppy? Fluid? Hi Luksol, I did not try out 1080p that much as my TV does only support 720p 🙁 Though it should be possible but might require some tweeks. 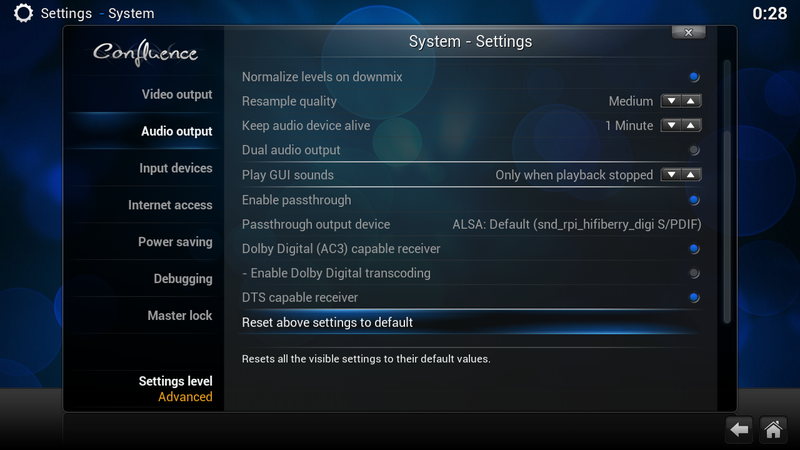 Also I think DTS should work but as my surround receiver (for some weird reason only Panasonic understands) only support Dolby digital I have not tested it. I have been made aware that one tweek is needed in order to get enough memory for the GPU. I added that to the blog. Thank you for this very good tutorial. I have it running on 1080p with surround sound without any problems (after 30 mins test with 4 fullHD movies).